The hotel experience was very good. The food was better than we expected maid service efficient & totally unobtrusive. A couple of things could have been improved. There was no folder in the room with hotel service information, general tourist information etc, which is unusual. As we had a late check-out (flight at 19:15) it would have been good to have the use of a room for the time after check-out at 12:00 (even if we had to pay) but this wasn’t available. The dive shop was efficient, friendly & helpful. 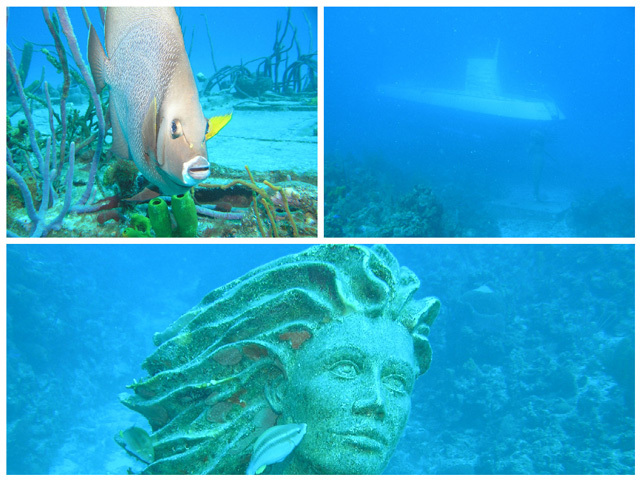 We did nearly all our diving on the house reef, which we enjoyed. Only drawback was the weather – north-westerly winds on several days meant shore diving wasn’t available. We dived a bit more intensively on the good days to make up.